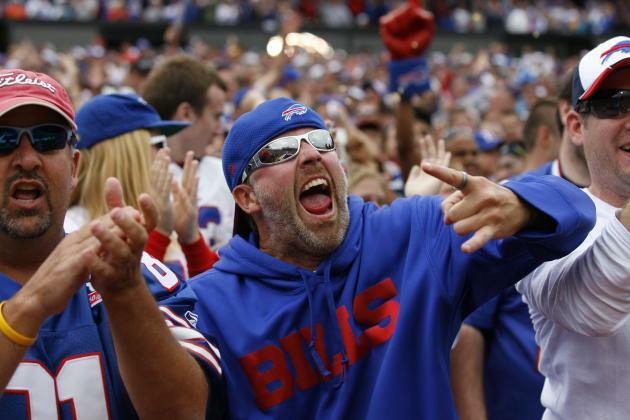 This week In Buffalo, New York, home to the NFL’s drunkest fans and deservedly so, FCC Commissioner Ajit Pai said it’s time for the FCC “to be on the side of the sports fan” and get rid of the rule forcing the NFL to blackout games that are not sold out in a home team’s market. 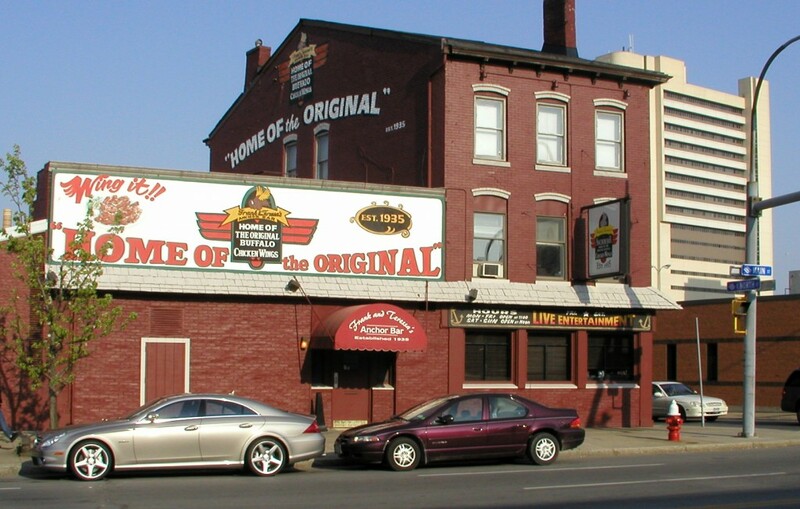 The event held at the world famous Anchor Bar, the dive tavern that invented the “chicken wing,” brought smiles to the faces of football fans. But, beware fans. It’s not what it seems. First there’s the comedy in this. A government official’s big announcement held in Buffalo at the Anchor Bar. Why, it’s almost “State Dinner” like! The only person missing was the Queen. I’m sure she’d enjoy an order of wings, hot, with blue cheese, celery and a cold Labatt Blue draft. 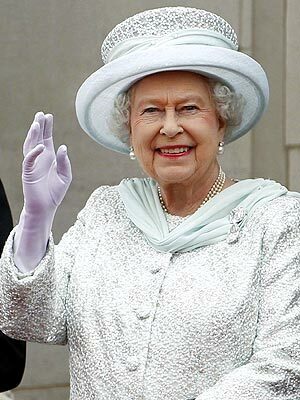 Can’t you picture her eating those sloppy wings with her white gloves and Frank’s Hot Sauce smeared all over her face? Now the serious part. Be careful what you wish for football fans. Those NFL owners, with billions in their checkbooks, are poised to make even more money by reaching into your pocket. The NFL is very good at two things, making money and then making more money! In 2013, just two of the NFL’s 256 regular season games were blacked out, one in Buffalo and the other in San Diego. The way the NFL publicizes these two non-sellouts you’d think they were on the verge of bankruptcy. NFL Commissioner Roger Goodell feels the decades old blackout rule is a good one and the FCC repealing this rule would result in the NFL being forced to move more games to cable or pay-per-view (Hint: They’re going to do it anyway, but that’s for another blog). Whoa. Roger throws down the “pay TV” threat. Here’s the part they’re not telling you. The NFL doesn’t need the FCC rule to blackout games. And that’s what FCC Commissioner Pai sort of admitted, but wasn’t supposed to in his address at the Anchor Bar. 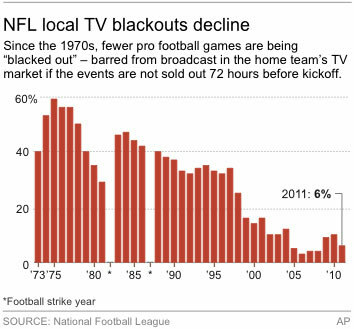 The FCC blackout rule, first approved in 1975, is nothing more than an excuse and a sales tool for the NFL to get into the wallets of fans in its 32 markets. The FCC and the NFL pretend to be opponents. But, they’re really playing on the same team and it’s the unaware, clueless and drunk fans who are the opponents. If a game isn’t selling well, the NFL, through its team, enlists the home team market media to stooge for them and guilt fans into buying tickets or else. “Buy the tickets or no game on TV.” And a city doesn’t want the national shame of not supporting its team, does it? Meanwhile, over at the FCC, the same government agency responsible for the mess that is broadcast consolidation, the death of the AM radio band and now the overcrowding of the FM band, claims it’s there to serve the “public interest.” That’s not really true because they and the U.S. Congress are bought and paid for by big broadcast companies, professional sports leagues and others through lobbyists. It’s all a scam on you the sports fan. The NFL blames the FCC. The FCC blames the NFL and mark my words, in the future, you will end up spending more money at NFL stadiums, through your cable bills, with pay-per-view and to watch games on your iPad. They don’t need the FCC to cover for them. The FCC blackout rule is a misdirection play. It’s a hustle. It’s a scam. It’s nothing more than an excuse. As with many things, it’s not always as it appears. ESPN gets around $6 per month for each of the 98 million cable households. ($588M/mo.) With that amount of money coming in, plus anything they get on ads, it is only a matter of time until they get more of the NFL games, besides Monday night. ABC and Hearst like the income they distribute to their owners every quarter but having all the marquee sports matches is worth the investment and NFL football is one they have, but one, if they desire, they can have a lot more of. At that point, like Wimbledon, good bye OTA TV.